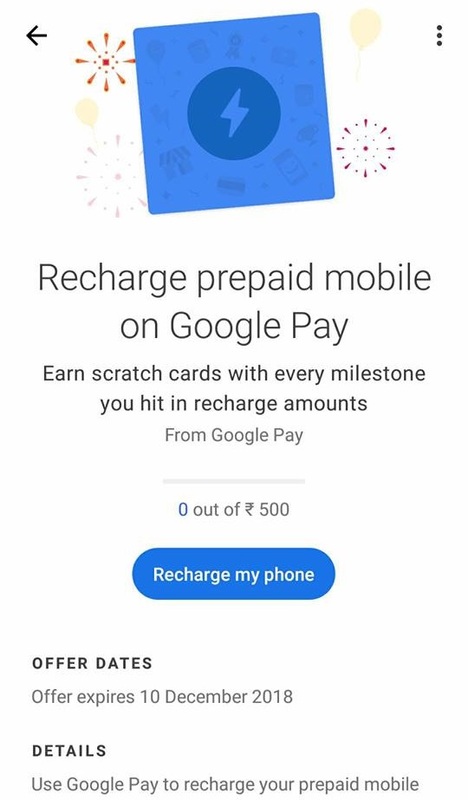 Recharge your Prepaid Mobile on Google Pay App and Earn Free Scratch Cards to Win Assured Cash!! – Hey there! Hope you are doing good. Here we are back with one splendid offer on Mobile Recharge. 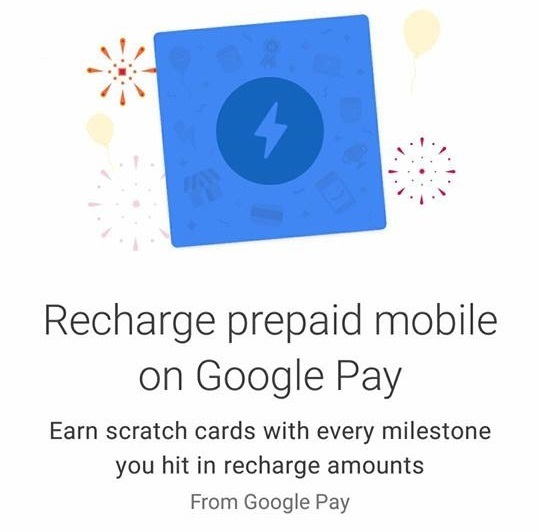 Google Pay, formerly known as Google Tez now introduces Mobile Recharges on it’s platform and as a promotional offer, you can grab free assured cash on every mobile recharge you do. With the concept of Scratch Cards, Google Pay always stays at the top in attracting it’s users. 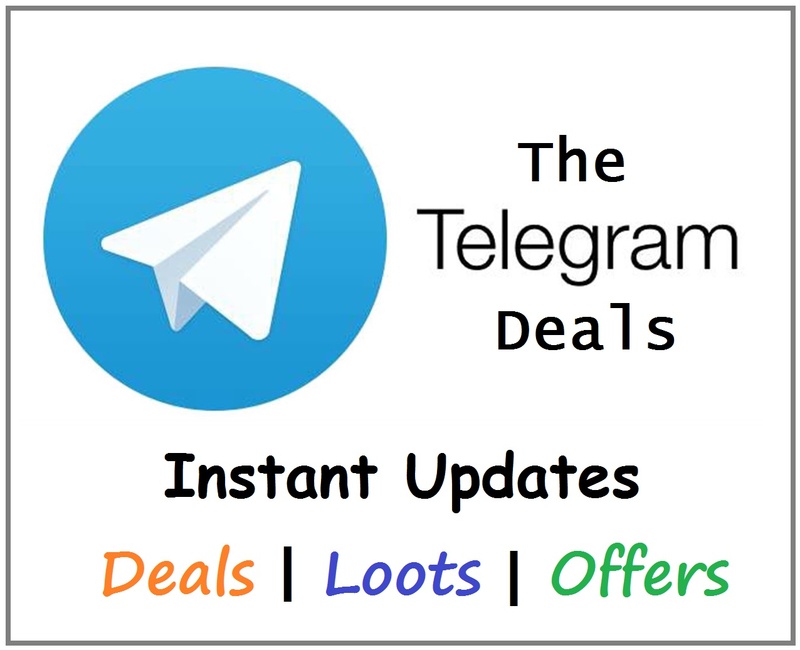 So let’s check the details of the offers and grab this loot. Limits: Earn Scratch Card on Every Recharge upto 3 times. 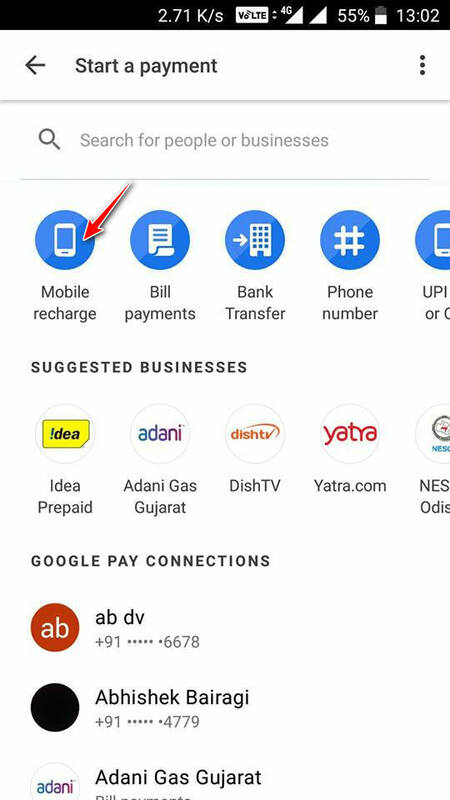 Step 2: Login to your Google Pay account and come to Dashboard. Step 3: Click on New button and then select Mobile recharge Option. Step 5: Once you complete the recharge, you will get a scratch card which you can access in the Rewards Section. Step 6: Scratch the Card to see the cash amount you have won. The amount would be as per the recharge amount variations. The amount you win will be directly credited to your linked Bank Account. Step 7: That’s it. You can still claim this offer for two more times. So make it’s best use. Follow the same steps and grab free cash scratch cards. 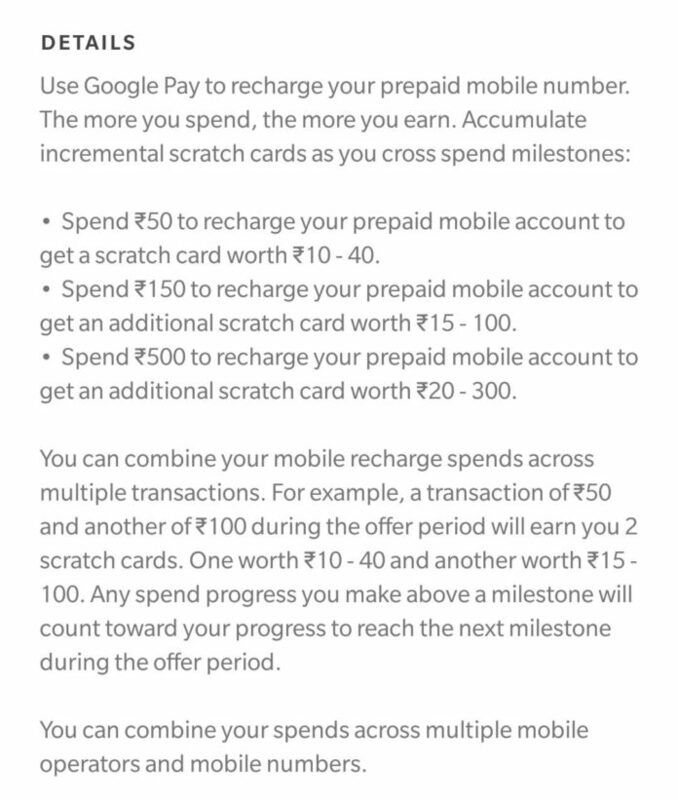 Step 8: You can track the status of your Google Pay Recharge Offer reward in the Offers Section.